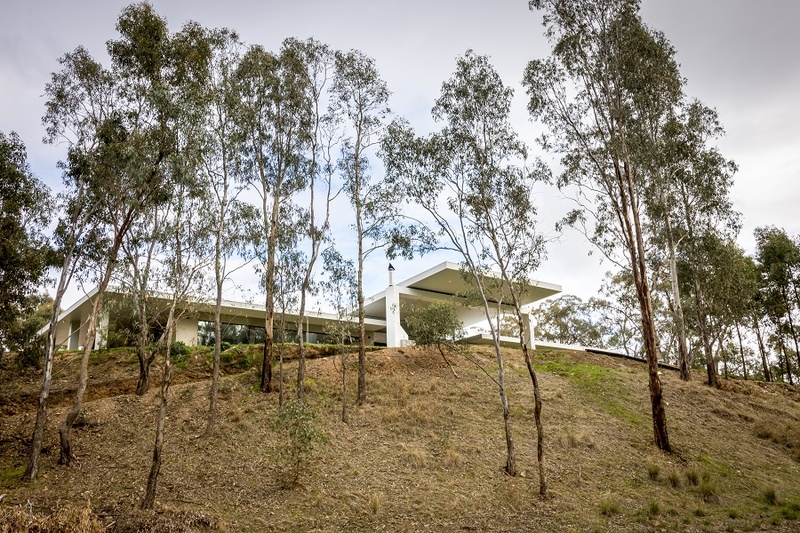 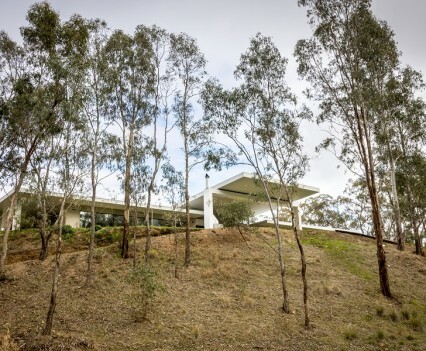 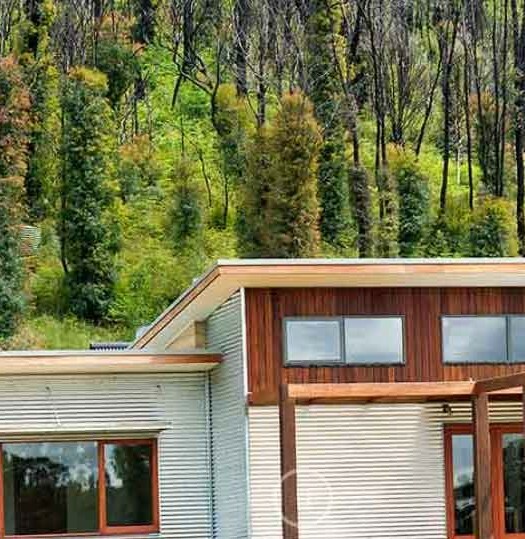 The owners of this picturesque block in Mitchellstown, Victoria wanted a showpiece home that would allow them to take full advantage of the beautiful river views that the hillside position afforded, yet was also functional and family friendly. 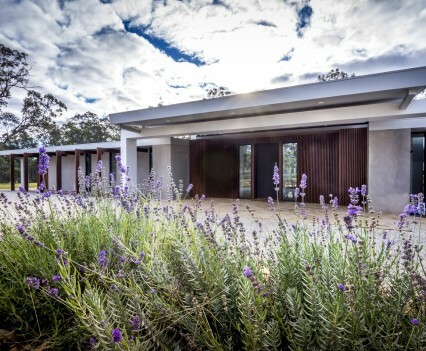 Multi-award winning regional builders Hedger Constructions took the opportunity to design a stunning contemporary home that with angular lines and a sloping roof draw the eye to the river vista and a blend of timber, stone and rendered cladding that ensure it sits harmoniously within the rural landscape. 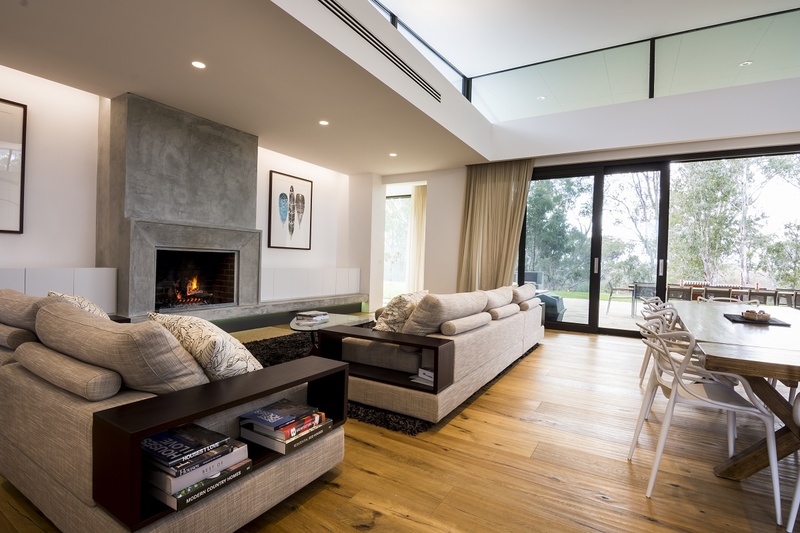 Taking full advantage of the surroundings was a key objective and with clever design nearly every room in the home has views of the river. 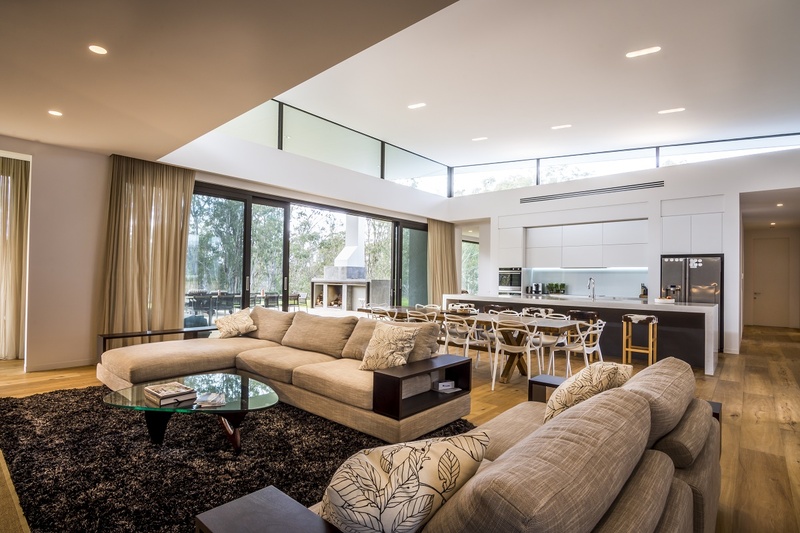 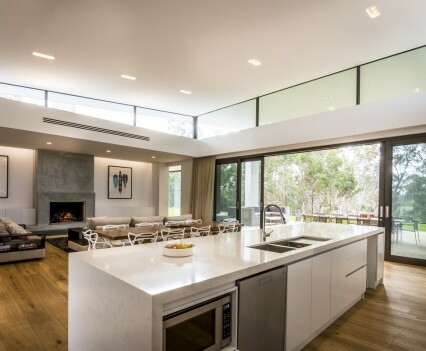 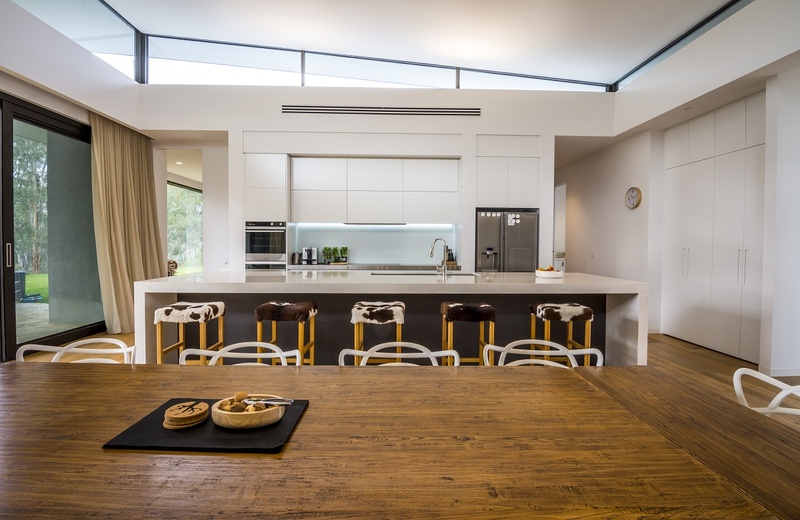 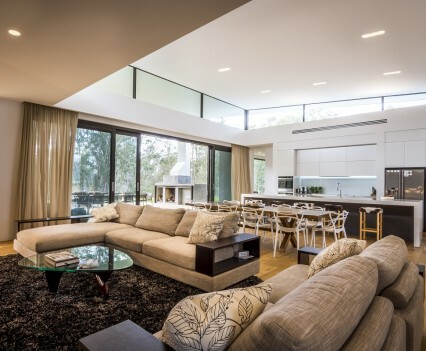 The floor plan centres around an expansive combined kitchen, dining and living area which is light and bright thanks to additional ceiling height and glazing along with a wall of glass doors that lead onto the alfresco area. 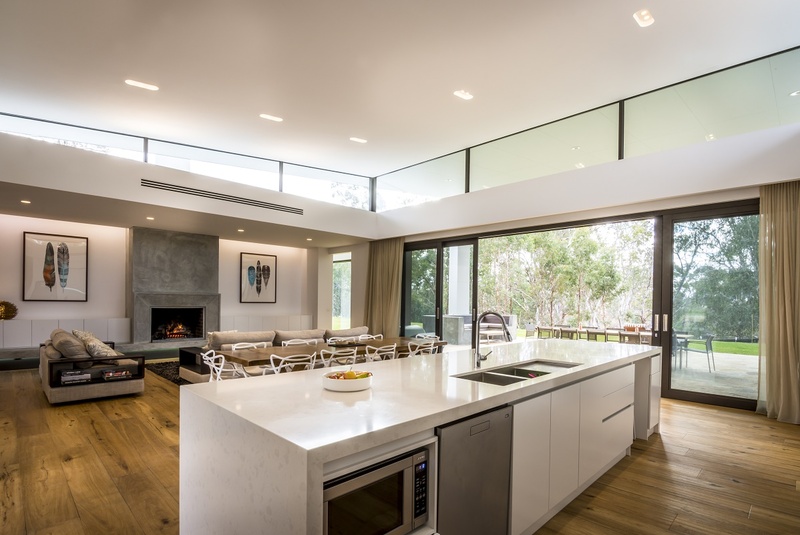 Minimalistic design principals have been incorporated to ensure that the interior has a sleek and uncluttered appearance, these include recessed light features and electronically controlled TV units which are concealed in cabinetry. 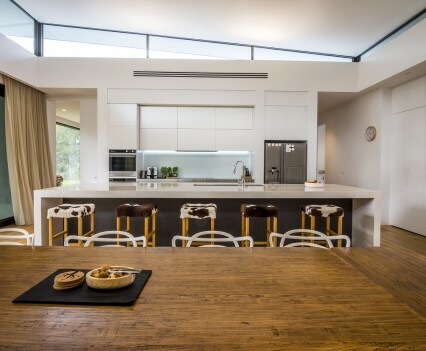 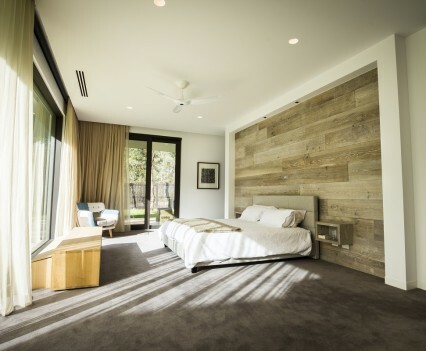 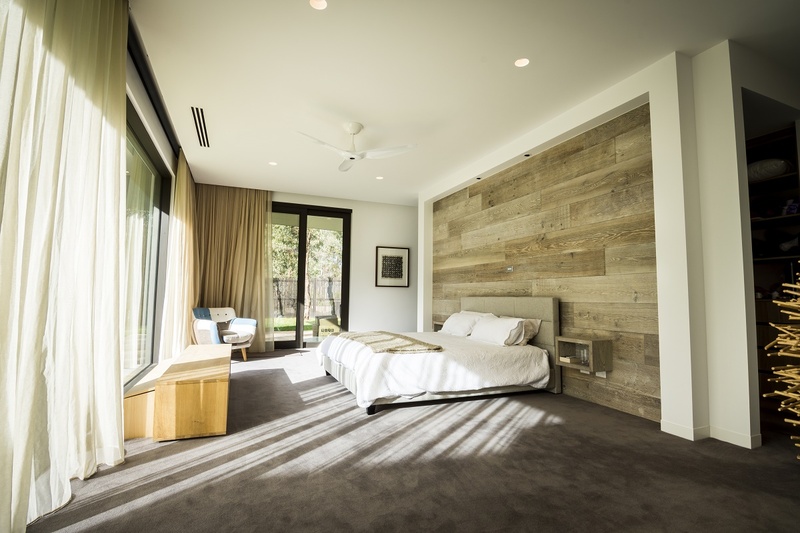 Despite the modern design, a range of natural materials such as hand-scraped oak flooring through the living areas, and timber and stone cladding ensure that the home has a warm and rustic feel. 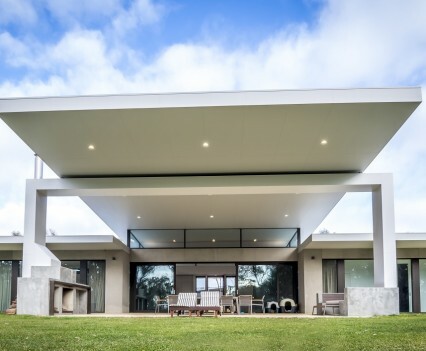 Paved in stunning imported stone, the magnificent covered alfresco brings the total living area of this home to 585sqm and provides a seamless transition between the interior and exterior living spaces. 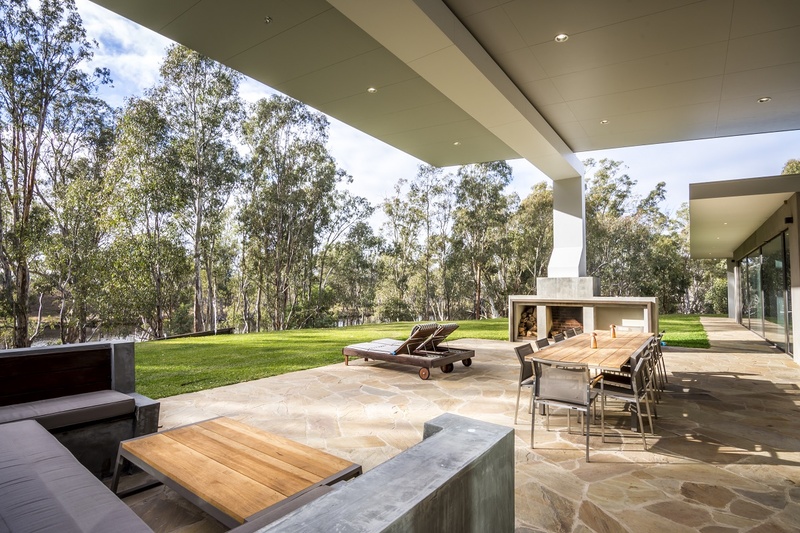 Taking full advantage of the river vista, the alfresco includes both built-in seating and a fireplace. 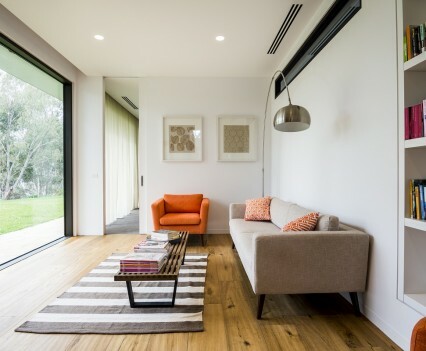 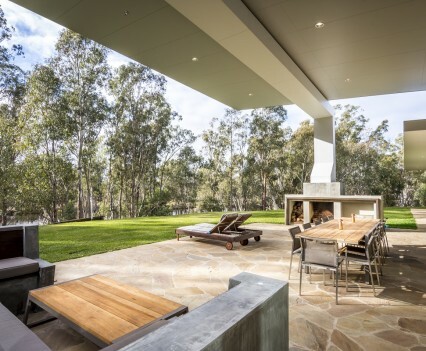 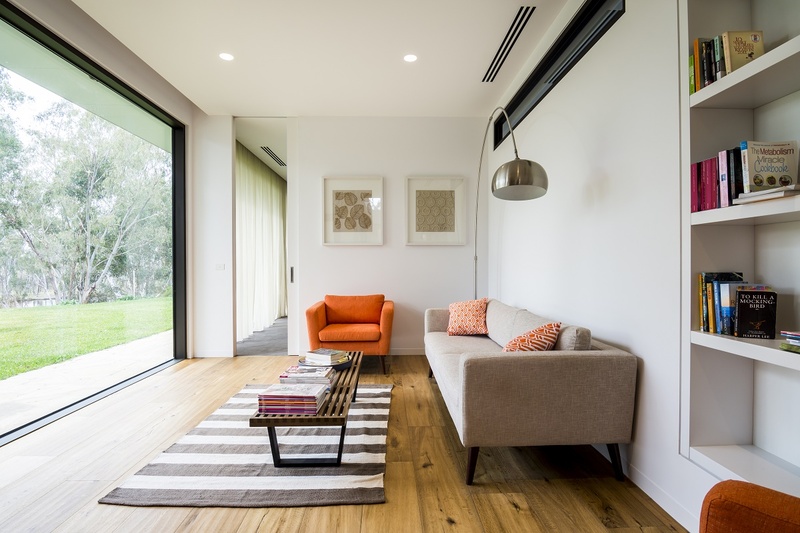 At the front of the home feature blackbutt and spotted gum pillars and rock walls sourced from the local quarry ensure that from every angle the home blends beautifully with its natural environment. 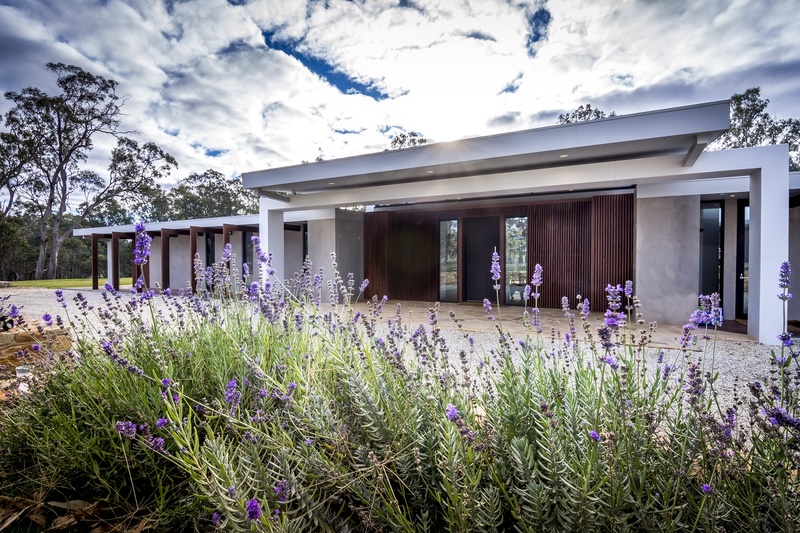 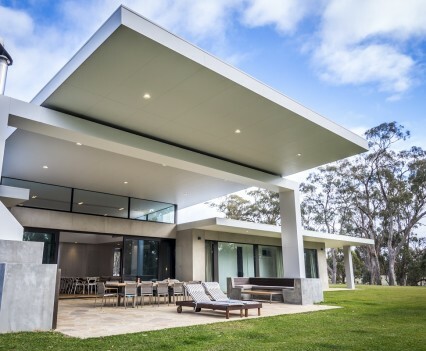 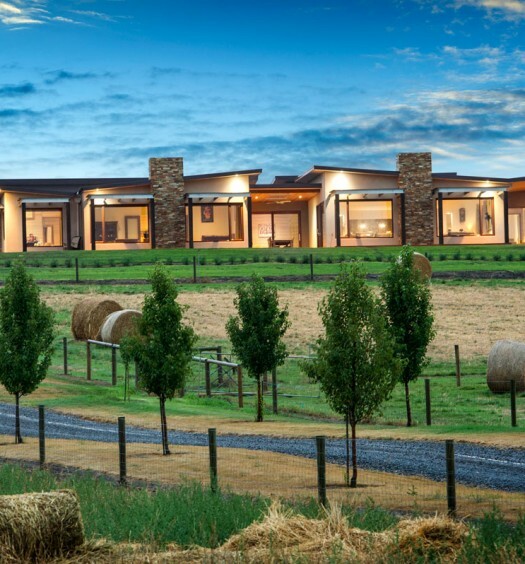 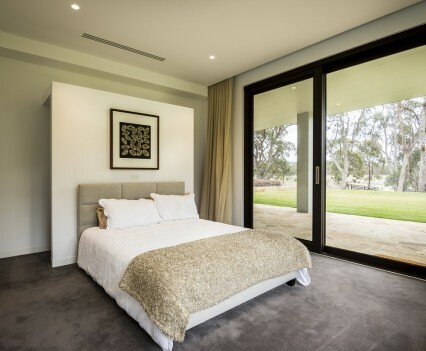 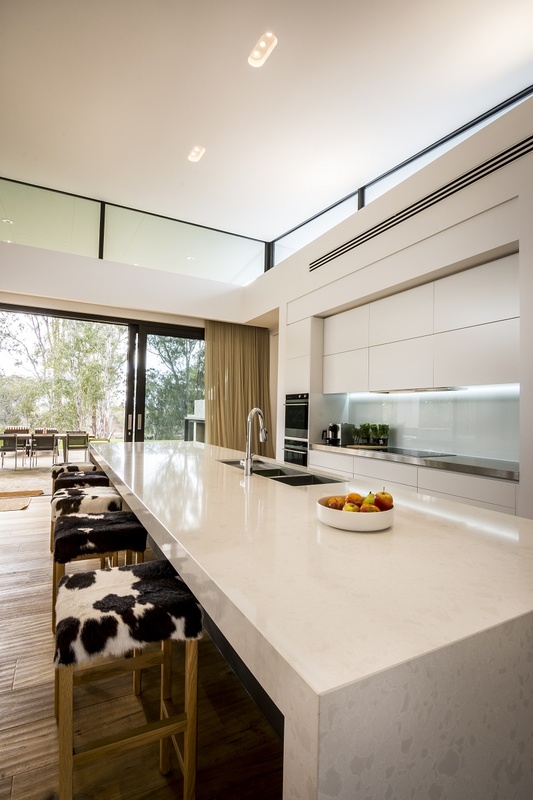 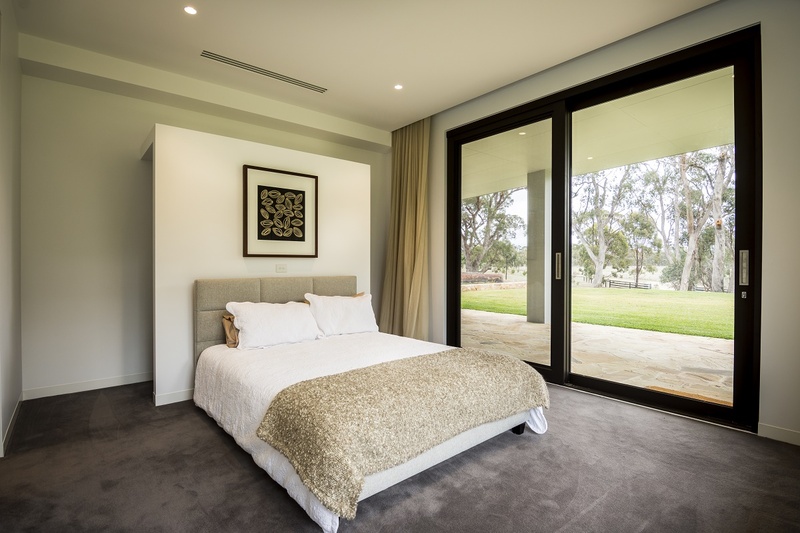 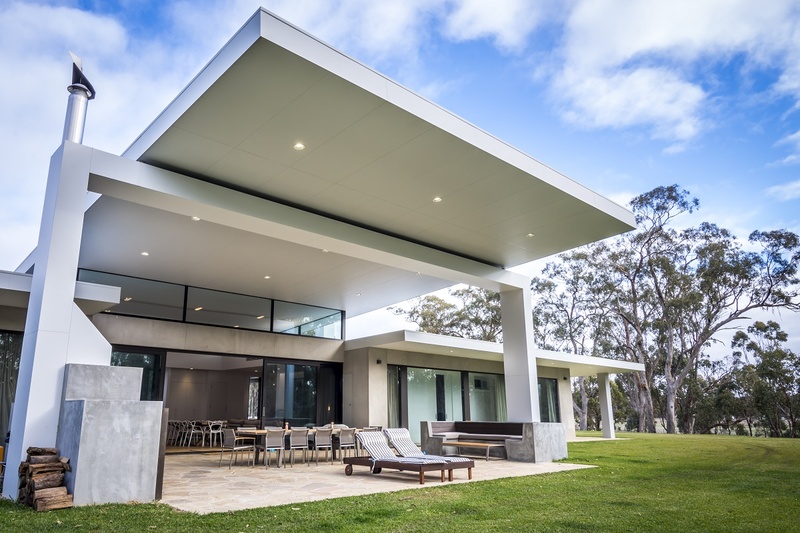 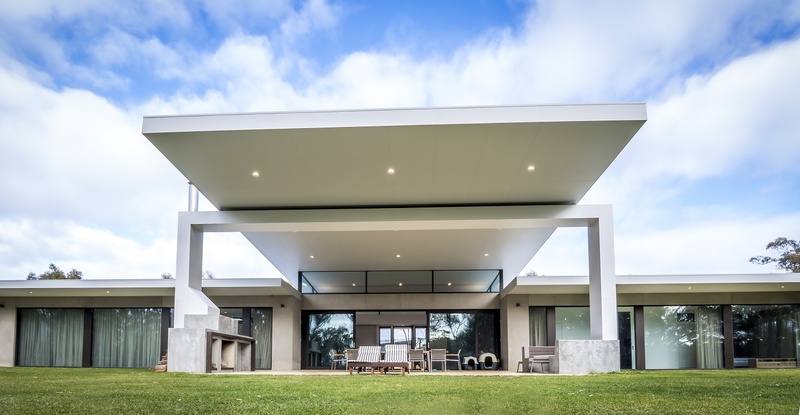 This custom home in rural Victoria was built by multi-award winning Hedger Constructions was featured in our 2015/ 2016 edition of Melbourne Custom Homes.